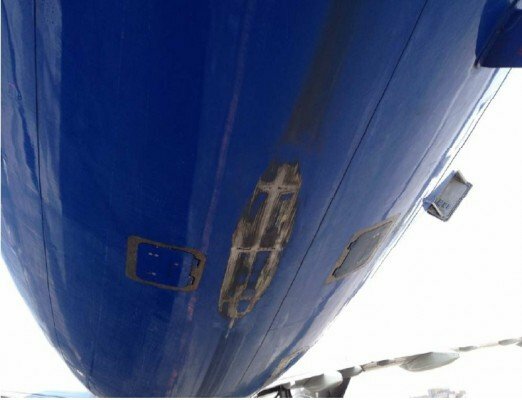 The Egyptian Aircraft Incident Investigation Central Directorate concluded that flight crew fatigue and the first officer’s bounced landing recovery technique resulted in a tail strike incident involving a Russian Airbus A321 at Hurghada, Egypt. On February 28, 2013 Ural Airlines Flight 3027 was approaching Hurghada Airport, Egypt following a flight from Perm, Russia. The first officer was pilot flying. At 04:14 local time the airplane touched down on runway 34. It bounced just a little and touched down softly. The first officer assumed the airplane had bounced and that it was floating close to the ground. He raised the nose to prevent a hard landing. A tail strike occurred and a go around was carried out. The flight positioned for another approach and landed safely. None of the seven crew members and 225 passengers were injured. The airplane was damaged on the rear underside of the fuselage. The investigators concluded that the probable cause of the incident was the deviation from the normal landing technique. “The F/O who was making the landing did not handle the airplane properly, while the PIC did not intervene at the proper time in an attempt to prevent exceeding pitch limit, ” the report stated. One of the contributing factors was flight crew fatigue. The captain and first officer both had 11.24 flying hours within the last 24 hours. Although within regulatory limits, the combination with the early time of the day may have caused fatigue. When attempting to recover from a perceived bounced landing, the first officer used an abnormal pitch attitude which was against Airbus recommendations and Ural Airlines’ SOP.